I recommend having Firefox check your Firefox plugins each month. Sometimes Firefox knows about security updates that even Secunia PSI doesn't know about, so it is best to do this short check occasionally. Simply click Help. Then click the check your Plugins image. 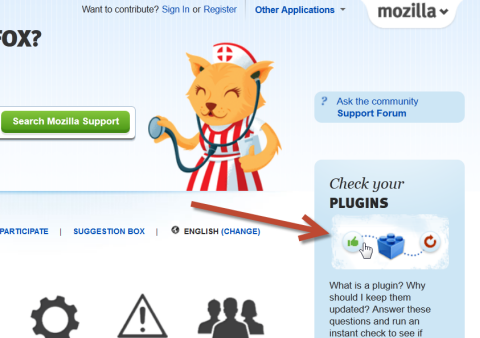 Firefox then lists your plugins and either gives you a green thumbs up "Up to Date", a grey ? research, indicating they don't monitor that plugin, or an orange Update symbol indicating that you need to update that plugin. If you need to update, normally clicking on update will lead you through the process.